Don currently serves as Chair of the United Way of Palm Beach County, Chair of the Chamber of Commerce of the Palm Beaches, Past-President of the Forum Club, Past-Chair of the Business Development Board of Palm Beach County, Past-Chair of the Northern Palm Beach County Chamber of Commerce and is on the Board of Advisors for FAU's Tech Runway. 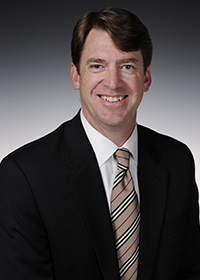 He is also a current member of Leadership Florida Class XXXIV. Don holds a B.A. degree in Political Science from Emory University and an M.B.A. from Florida Atlantic University. A 44-year resident of Palm Beach County, Don lives in Jupiter with his wife, Heidi, and three children, Katie, Jackson & Chelsea.